This is the Diwan-i-Aam inside the Agra Fort. Just spectacular! 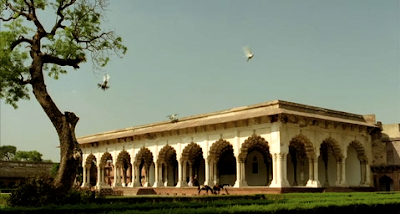 I love Diwan i Aam in Agra Fort. It's a very beautiful sight to see up close. I was visiting these places with a couple of friends and they were like "you keep building up this movie.. we have to see it now!"